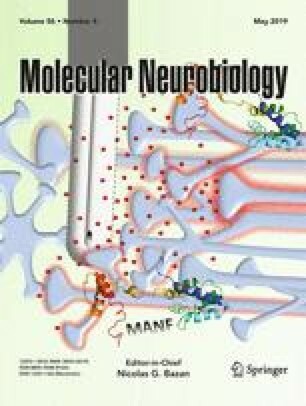 Brain-derived neurotrophic factor (BDNF) is a secreted messenger molecule that is crucial for neuronal function and induction of synaptic plasticity. Although altered availability of BDNF underlies many neurological deficits and neurodegenerative disorders, secretion dynamics of endogenous BDNF are unexplored. We generated a BDNF-GFP knock-in (KiBE) mouse, in which GFP-labeled BDNF is expressed under the control of the unaltered endogenous mouse BDNF gene regulatory elements. This KiBE mouse model enables for the first time live cell imaging analysis of endogenous BDNF dynamics. We show that BDNF-GFP release and biological activity in vivo are unaffected by the GFP tag, since homozygous KiBE mice, which lack wild-type BDNF, are healthy and have a normal life expectancy. STED superresolution microscopy shows that 70% of BDNF-GFP vesicles in KiBE mouse neurites are localized in dendrites, being typically 200 nm away from synaptic release sites. Live cell imaging in hippocampal slices also reveals prominent targeting of endogenous BDNF-GFP vesicles to dendrites. Fusion pore opening and cargo release of dendritic BDNF vesicles start within 30 s after a strong depolarizing stimulus and continue for > 100 s thereafter, revealing an astonishingly delayed and prolonged release of endogenous BDNF. Julia Leschik and Robert Eckenstaler both share equal contribution as first authors. Beat Lutz and Volkmar Lessmann both shared senior authorship. The online version of this article ( https://doi.org/10.1007/s12035-019-1551-0) contains supplementary material, which is available to authorized users. We would like to thank Dr. Kurt Gottmann for valuable suggestions and discussions, Sabine Eichler, Regina Ziegler, Margit Schmidt, Anja Reupsch, Danka Dormann, Andrea Conrad, Anisa Kosan, and Ruth Jelinek, for expert technical assistance, Yury Kovalchuk for valuable suggestions regarding the linear unmixing procedure, as well as Ralf Mohrmann for important comments on the manuscript. Experiments were performed by JL, RE, TB, TM, KR, EE. The data were analyzed by RE, JL, TE, TM, TB, EE, OK, WZ and VL. Experiments were designed by VL, BL, TB, JL. The study was designed and supervised by VL and BL. The manuscript was written by VL with the help of BL, JL, TB, TE, TM. This work was funded by the German Research foundation (DFG SFB 779 and LE 1020/2-1 to VL, and LU 775/5-1 to BL). The funders had no role in study design, data collection and analysis, decision to publish, or preparation of the manuscript.